to Helen Grehan who has just won the New Roscommon Writing award 2018! and Louise G Cole for being shortlisted in that, and also for winning the prestigious Hennessy Literary Award for poetry, 2018! We are all very proud! The Hermits have been busy! To invite writers for your literary - or other- event, to book musicians, or buy art or booklets, please contact us via this website or directly through our own sites. 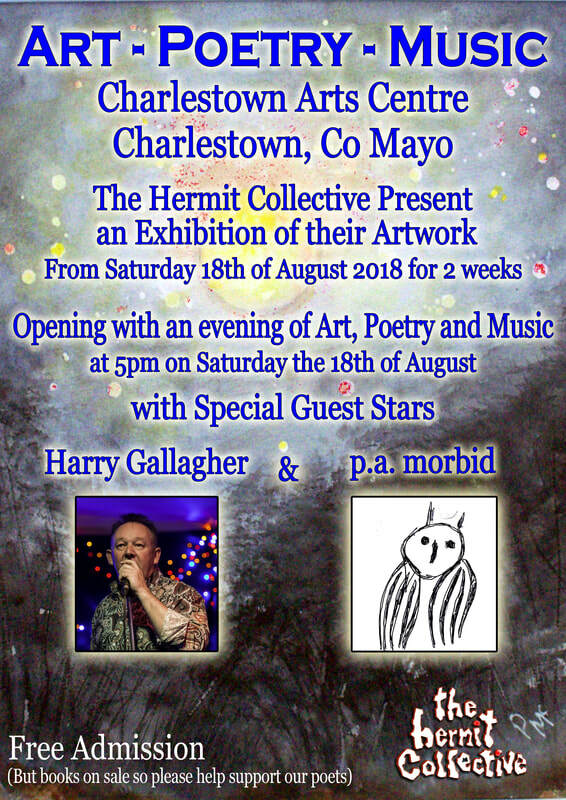 The Hermit Collective are a wandering band of writers, painters, etchers, puppeteers, singers, accordion flute banjo guitar sitar saxophone and bodhran players, Viking potters, sculptors, film makers and more. 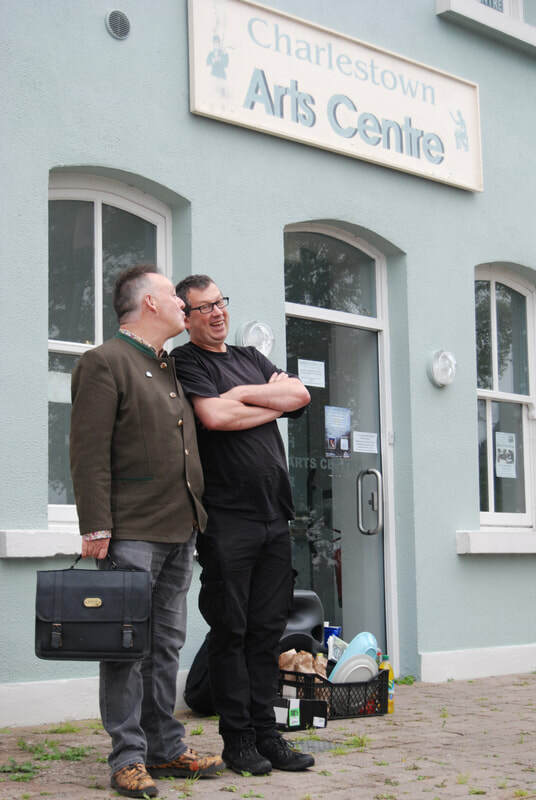 We put on pop-up shows in rural towns, or indeed anywhere we can get to. We are deeply sorry to have lost our friend and fellow hermit Karen Sheils. for more information contact us at..